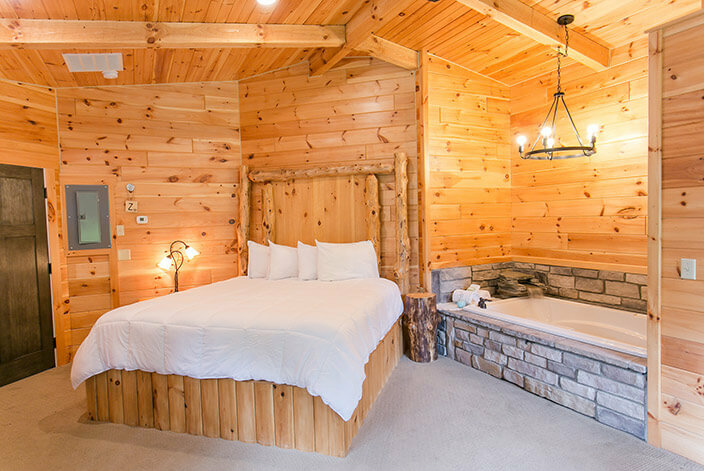 The Cottonwood Suite is our largest suite at Pine Cove Lodging. Located at the end of the west wing, this suite has a nice private patio with wicker rocking chairs. 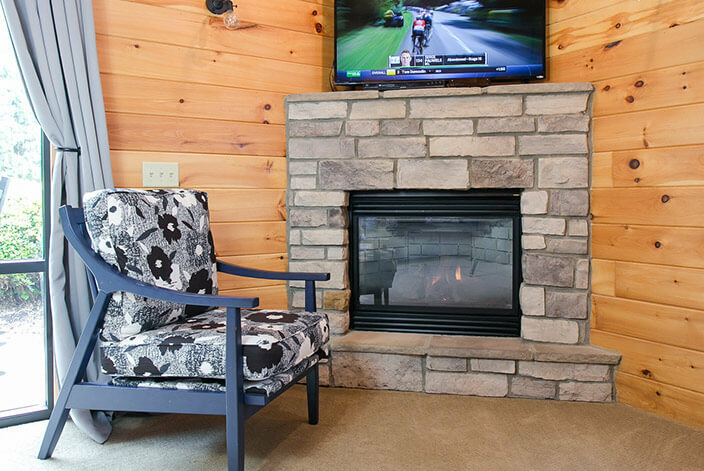 This suite offers a king sized Amish crafted log bed, stone two person jacuzzi with waterfall faucet, gas stone fireplace, kitchenette (sink, refrigerator microwave, coffee maker and toaster) with dining room table, loveseat, free Wi-Fi access, Time Warner cable TV with DVD player and AC. 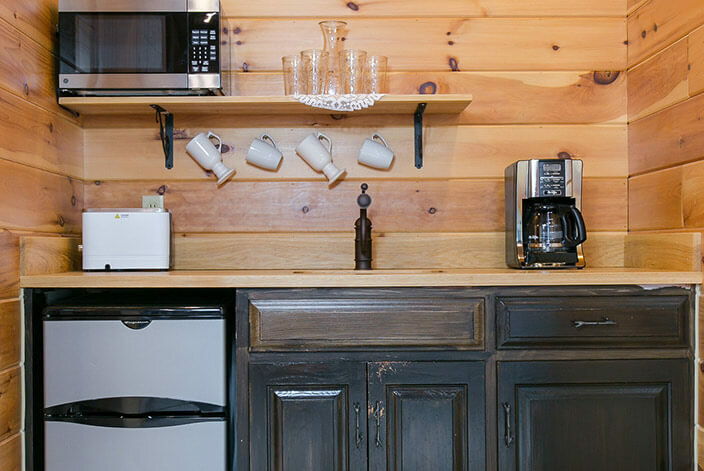 Pine Cove Lodging is specifically designed with couples in mind. 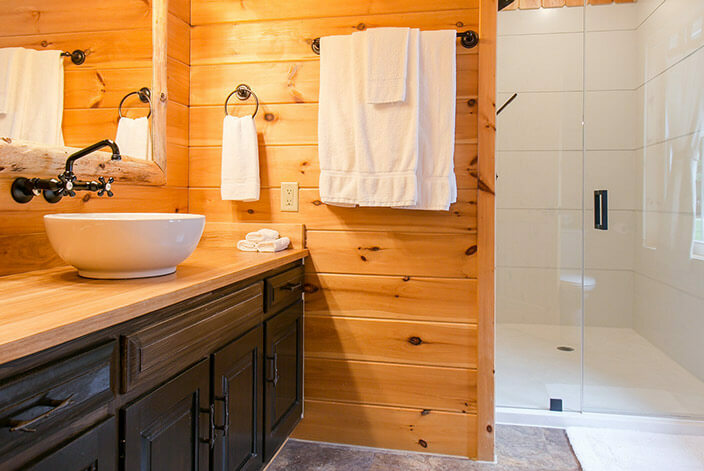 This Amish Country inn suite offers a quiet, peaceful setting set back in amongst the Pine trees. The property includes a pond with gazebo and log swing. 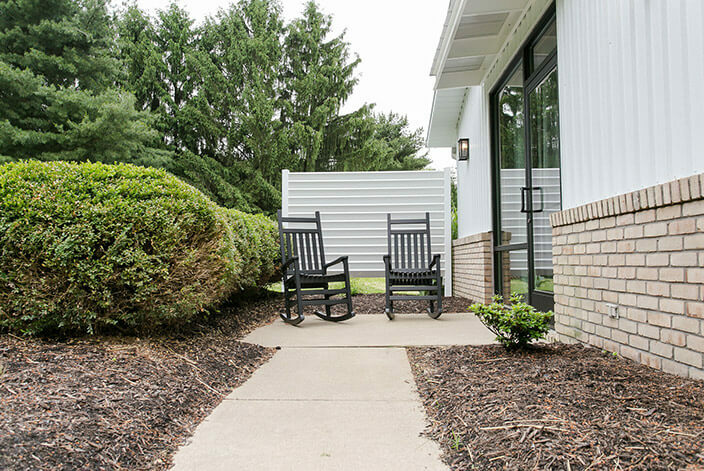 We offer the finest Amish Country Ohio lodging, so plan your getaway today. The room was clean, well appointed and convenient to Berlin. We chose to go to Boyd and Wurthmann's restaurant in Berlin and it was fantastic.